Have you seen the signs? 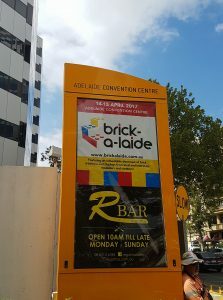 Brick-a-laide 2017 is just around the corner, coming up this 14th and 15th April (Good Friday and Easter Saturday) at the Adelaide Convention Centre. 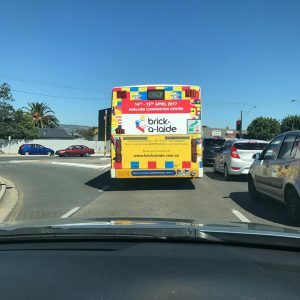 All the team from Southern Bricks LEGO Users group will be there along with many experienced and talented builders from interstate, showing off amazing LEGO builds just for all the LEGO fans in Adelaide. 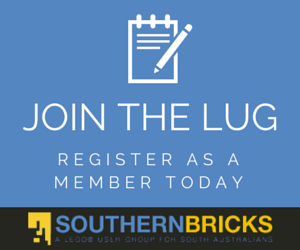 Watch out for our LIMITED EDITION ‘Ervin the Easter Bunny’ Kits available on site at the Southern Bricks LUG table and remember to get social with us on Facebook here! !